In 1980, schools were just beginning to include computer courses as a standard practice. Today, the way teachers and students use the internet is mind-blowing. 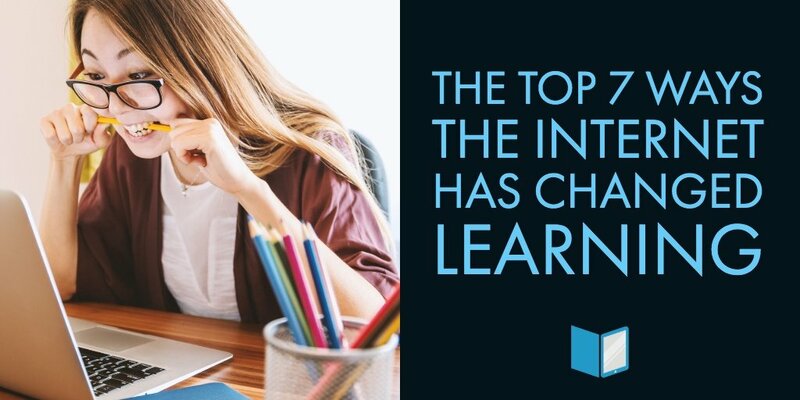 Over the past decade in particular, education has changed dramatically due to the influence and abilities of the Internet. With countless learning tools available at their fingertips, students today can enjoy a fuller, more engaging learning experience. This change is a boon for publishers who hope to grow their business through digital learning publications. Online learning has improved education in countless ways, but the following are the top seven. When preparing for a research paper or homework assignment, a whopping 93% of students of students turn to Google for the answer. Although librarians and educators have discouraged the use of Wikipedia, students consistently favor the site for quick and (mostly) reliable information. The availability of current, accurate information 24/7 saves students time and energy that used to be spent searching for the right library book. Students aren’t the only ones browsing the web. Around 90% of educators use some form of social media in the classes they teach. Many more use online videos and other applicable media elements to supplement class material. This blend of in-person lectures with targeted online content offers the best of both worlds. Communication used to be limited to class time and planned study groups. Now, contacting your teacher with a question, connecting with classmates for a group discussion, and keeping up to date on classwork after an absence is a mere click away. Students can effortlessly communicate with their teachers and peers from anywhere, and vice versa! Over one third of students are taking at least some of their classes online, with a total of 6.3 million students in the US taking at least one online class in 2016. The shift to online courses is continuing to grow and is expected to continue flourishing alongside advances in online learning. For years, online learning programs were looked down by educators and employers. The worries were not unfounded, but mainly stemmed from online programs lacking accreditation or association with a trusted university. Now, many esteemed colleges also offer distance learning programs and blended classes. Two thirds of educators now believe online courses can be equally valuable as those conducted in a traditional classroom setting. Arguably the most popular change provided by online learning is flexibility. The rigid schedule of a traditional education used to limit who was able to complete a degree. Those who worked full-time or were raising a family alongside pursuing higher learning were hard-pressed to make it happen. Because of the Internet, students aren’t limited by tight schedules. Online learning offers a customizable experience that can’t be beat. In previous decades, self-assessment was limited to homemade flashcards and study guides. Online learning platforms integrate valuable information with built-in assessments and interactive activities that help both students and teachers track progress. Naturally, the internet isn’t infallible. Students accessing learning material on mobile devices or tablets can find it too tempting to stay away from Facebook and ignore incoming texts during study time, leading to distraction. This same overuse of social media and online media consumption has also sapped users’ attention spans. Despite these drawbacks, the benefits of internet usage in education far outweigh the cons. Online learning has come so far, many are looking to Open Educational Resources as the future of learning. Publishers who hope to move in this direction can use Gutenberg’s new Courseware Creator that allows easy integration of OER.